It's a bit slower but it works and gets the job done. It either finds something with that name or tells you that it can't find it. In the latter case, execute the command mentioned two above to install the package you downloaded. 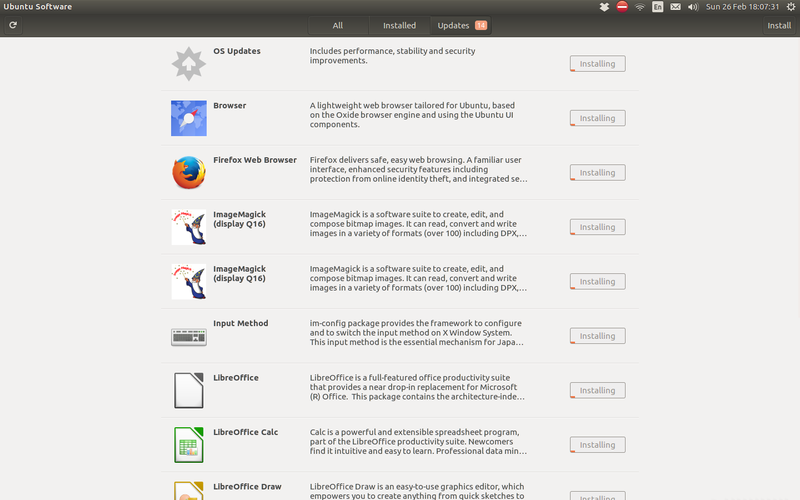 In Ubuntu 16 I highly recommend installing GDebi package installer from the Ubuntu Software Center. Then open any downloaded .deb files with that. It will automatically install dependencies. How do I manage installed software on Ubuntu 16.04?